Make the Bride shine in this flashing sash. One of our most popular sashes because of it's high end design and its ability to make the Bride stand out. 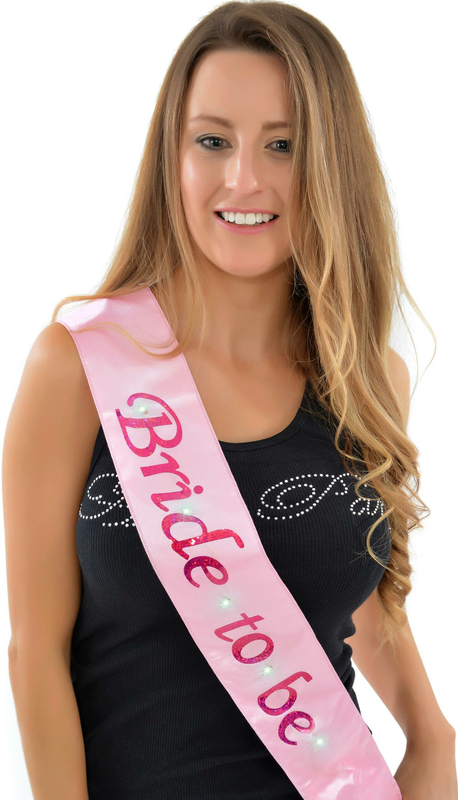 Add this sash to any of our pink accessories and have a complete bride to be hen night outfit. Showing our 8 Luxury Pink Flashing Bride To Be Sash reviews with an average rating of Excellent. Would you like to write a review? My daughter loved it..the quality was excellent . delivery was very quick . Quick delivery and excellent value for money. Am very pleased. Quality product. So happy with it. Our Bride to Be was over the moon with this sash. Great Quality and excellent value for money. Looked great! Great Sash for the bride to stand out in the crowd!